A wonderful Christian environment for any occasion. 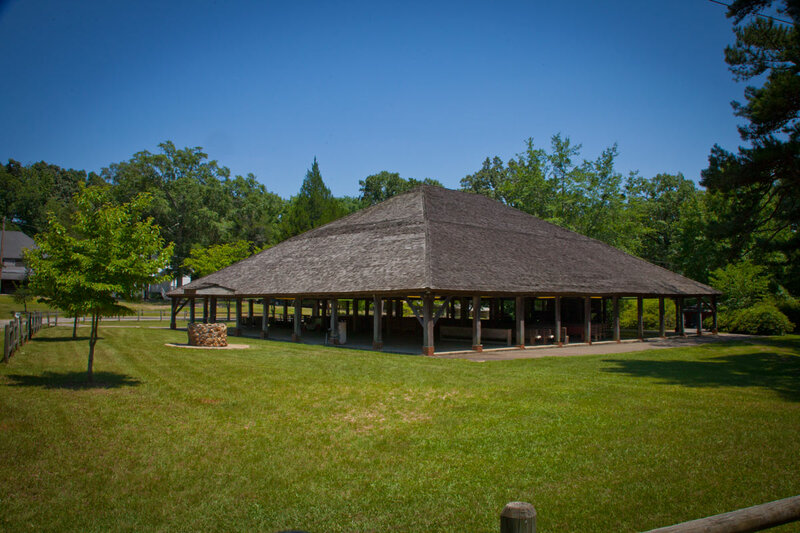 Whether you are planning a confirmation retreat for your youth, church picnic, camp, retreat, family reunion or meeting, Dooly Campground offers a vast array of options to accommodate your group for a day or longer as the case may be. Our lodging facilities consist of five separate dormitory style structures. There are 150 total beds available. Special needs can be accommodated in two of our residential buildings and in our conference space. All spaces are climate controlled for year round availability. Our dining hall includes a fully equipped industrial kitchen. The dining room itself has tables and seating to accommodate 110 people. Two popular areas are the front porch where guests often gather to greet each other during family reunions and a deck overlooking Sandy Mount Creek. An outdoor shaded picnic area is outfitted with tables, covered serving space and a traditional BBQ pit. Also nearby is a campfire ring with seating. 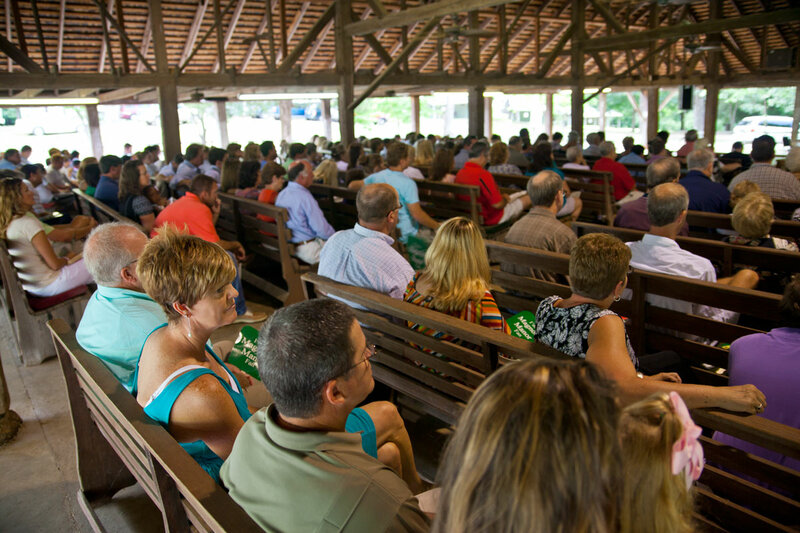 Our conference center accommodates group learning and interaction. The space has seating for 66 people with the availability for larger groups if needed. St. Paul prayer chapel located on the pine knoll at the entrance to the campground features a double aisled space for worship, prayer, and meeting. It is a traditional style country church which seats 110 people. And, Pleasant Valley Church on the hill features a single aisle worship center with pews which seat up to 100 people. Last but not least, is the Tabernacle located in the heart of the campground and built with hand hewn heart pine timbers and wood shingles. This grand facility has seating of upwards of 500 people. This location is often used as a registration point for groups who assemble at the campground. 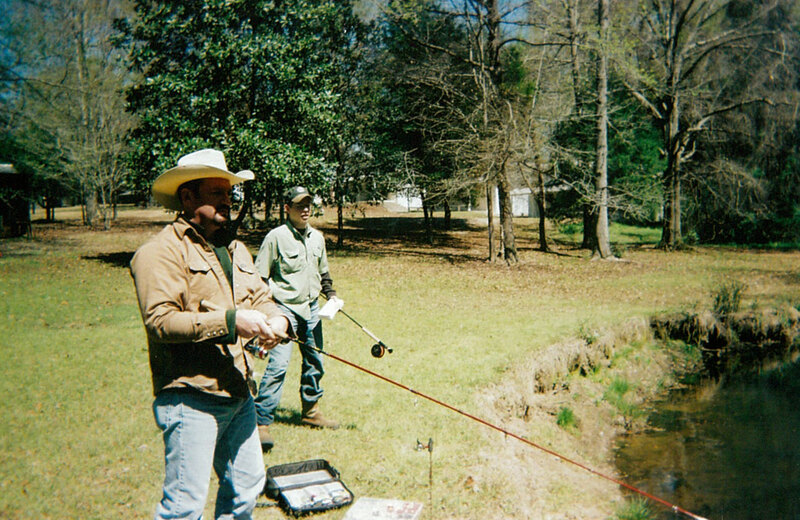 Dooly Campground is naturally situated on Sandy Mount Creek where splashing in the water or leisurely casting a fishing lure have been the entertainment for people of all ages. The country lanes surrounding the campground are perfect for walking, running, cycling and getting some quiet perspective. For the younger at heart, our recreation field is equipped for softball, volleyball, soccer, tetherball or whatever you can fit in five acres. 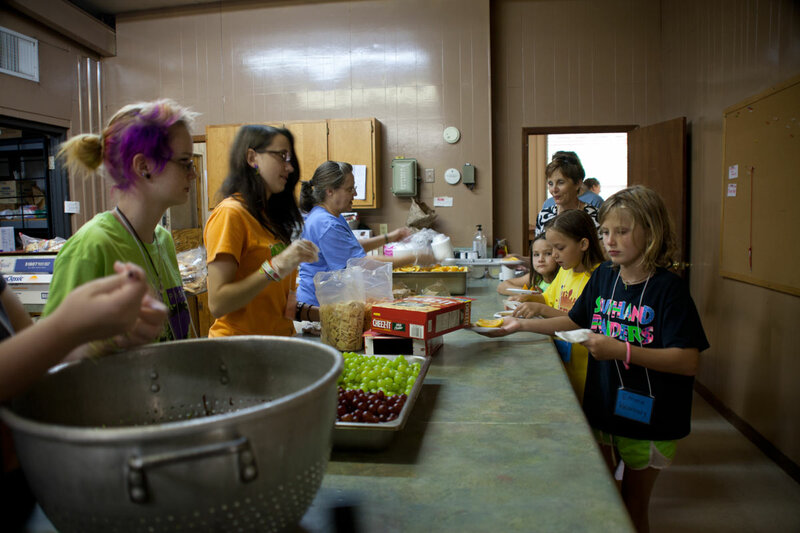 It has restroom facilities and bleachers perfect for an afternoon of fun and activity during a retreat or camp setting. 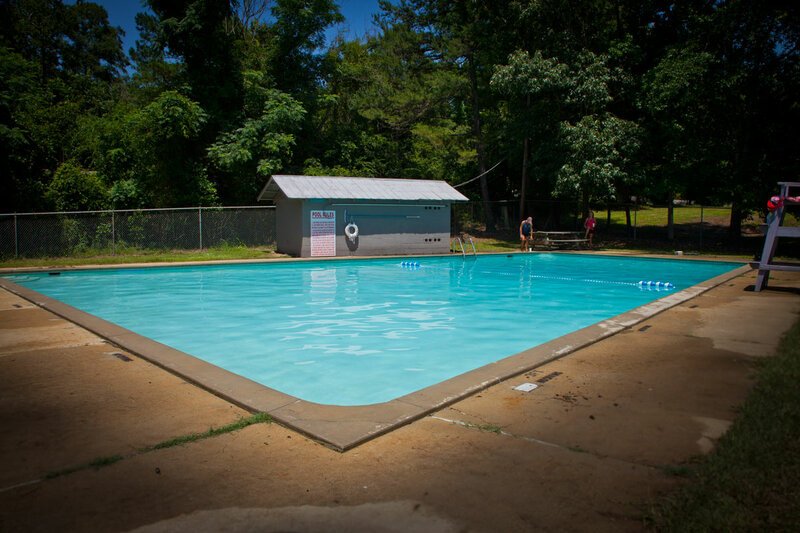 During the season, Dooly Campground offers an olympic size swimming pool. Adjacent to the swimming pool is an outdoor basketball court. RV and tent camping is available in connection with your group’s use of the campground.